Representation of carriers and their insured's throughout Florida in matters relating to bodily injury, PIP, property, and insurance coverage. Analysis of claims focusing on legal strategies to defend fraudulent or questionable medical charges, relating to medical documentation, billing, and coding issues, to assist in the determination of a claim's value. Coordination with attorneys, either staff counsel or outside counsel, to perform the above analysis. 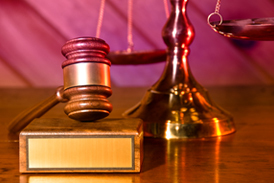 This service includes a file review, report, and conference with the attorneys on possible defenses. These reports can merely highlight relevant issues, or go further to provide comments such as suggested motions, subpoena language, and deposition questions for parties, providers, and treating facilities. This service also entails background research and sharing of information of relationships between providers, facilities, and medical supply companies where appropriate. She can also appear as co-counsel for the purpose of taking depositions, appearing at mediation, or presenting arguments related to these issues in court. Examinations under oath involving staged accidents, medical treatment and billing, coverage, or property matters. Collaboration with carriers in matters where claims may have been improperly presented and pursuit of strategies aimed at recovering funds from the appropriate entities and individuals. Ranging from research, compiling evidence of improper claims, presenting demands, negotiating settlements, and litigation.